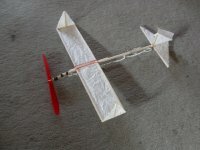 As a child I was fascinated by fliers ... and now I re-discovered this fascination. a helicopter and a monoplane driven by rubber. The heli flew very well, but the plane didn't. I guess it was the paper. Paper has the tendency to warp very fast under the influences of humidity and temperature. I found phantastic models on the web. Most of them created by North Americans. I really got excited about the possibilities to build really simple, but working flyers. Here I want to share my experiences with you. 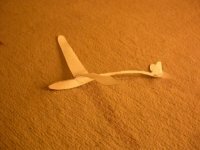 got warped really soon, so its flying behavior was not that well for long. 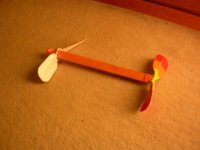 Flies phantastic, flights of 20 seconds are possible ( launched from a hill with rubber catapult ). My first attempt of an own design with wood. It uses a modular concept. On the right photo you can see the single parts. 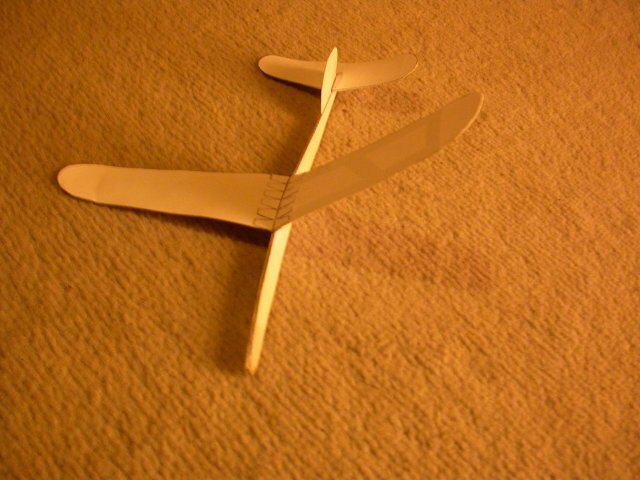 Very nice to play around with the center of gravity and to exchange parts: wings, tail, motor stick. 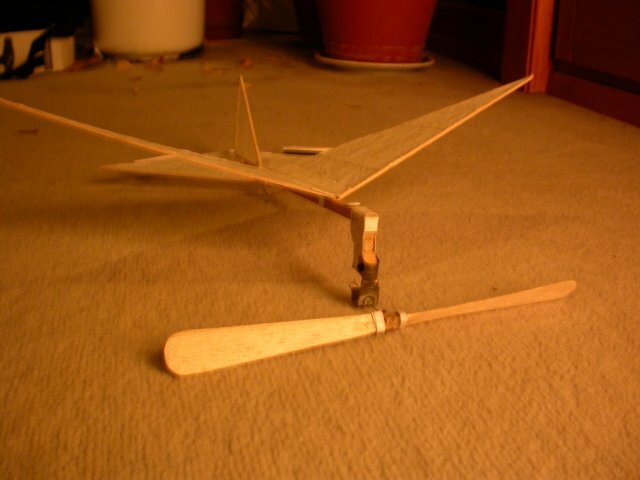 Motor stick made of pine wood, wing structure made of kebab sticks. Covering domestic paper. 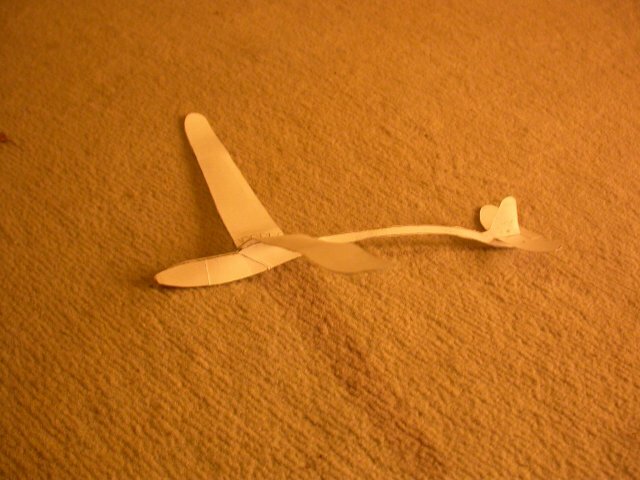 It flew well as a glider, but the wings warped very soon and the flying behavior got worse. Also it was too heavy. Weight was about 30 to 40 grams. Based on the design of the Delta Dart ( AMA ) I built this one. 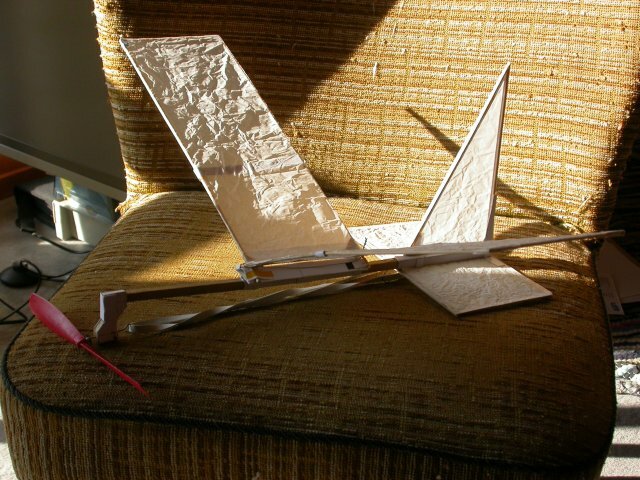 It flew better but was still too heavy. approx. 20 grams. Motor stick made of pine wood, wing structure made of balsa. 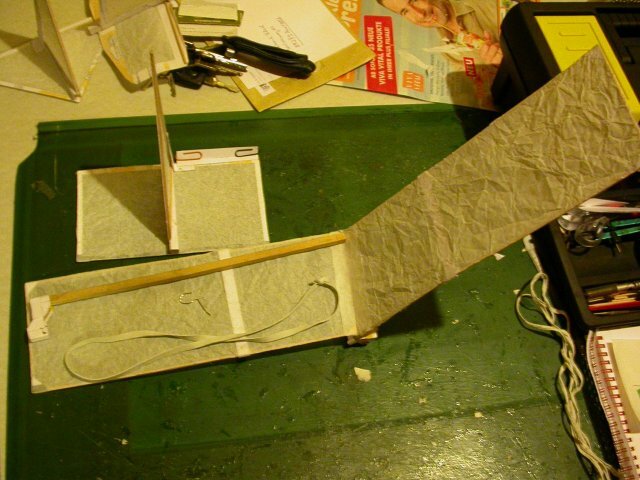 Covering domestic paper. but with rubber power it failed to climb. 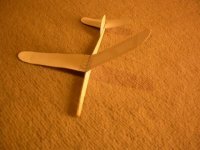 Motor stick, wing structure. Covering domestic paper. The squirrel - design by Darcy White. Weight less than 10 grams. 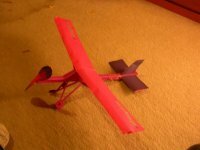 simple, easy to build and it flies very well! The building itself is VERY easy and takes less than 1 hour. a good German site about paper gliders with many designs to download and build from paper. Flying theory covered as well. homepage of the AMA Delta Dart flier, a rubber powered model plane. 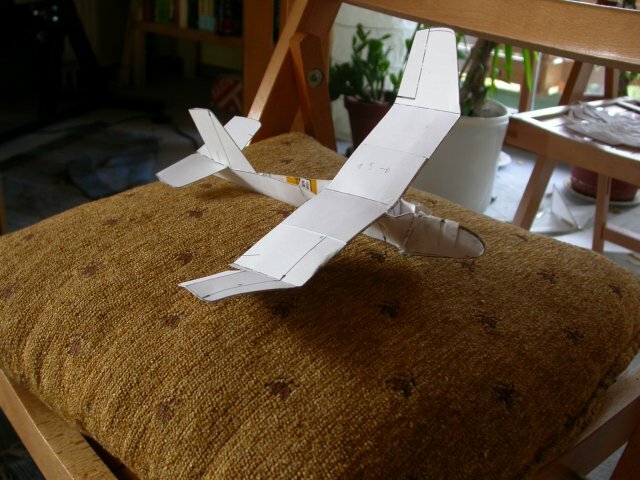 homepage of the Squirrel flier design by Darcy White , a rubber powered model plane. 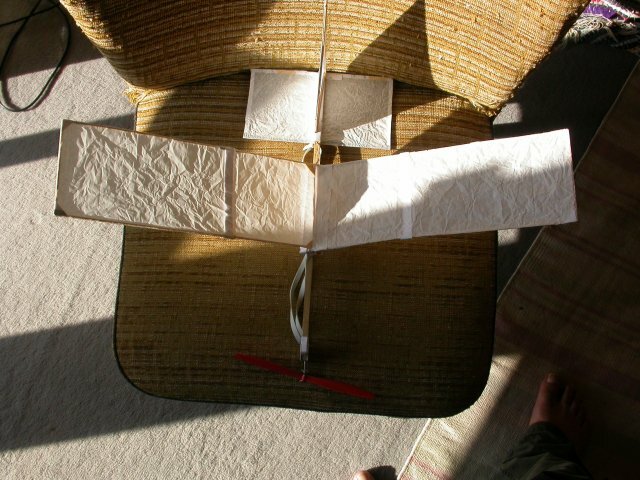 Very simple and easy to build, flies very well. 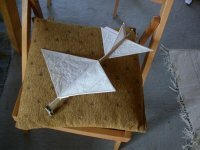 A website about Hermann Holzhauser who builds very strange flying objects from dove feathers and balsa.